As you may know, Gmusicbrowser is an open-source jukebox written and perl, with support for the following file formats: mp3, ogg, flac, mpc and ape. The latest version available is Gmusicbrowser 1.1.11, which brings some new features to the previous version. Read the changelog for more information. 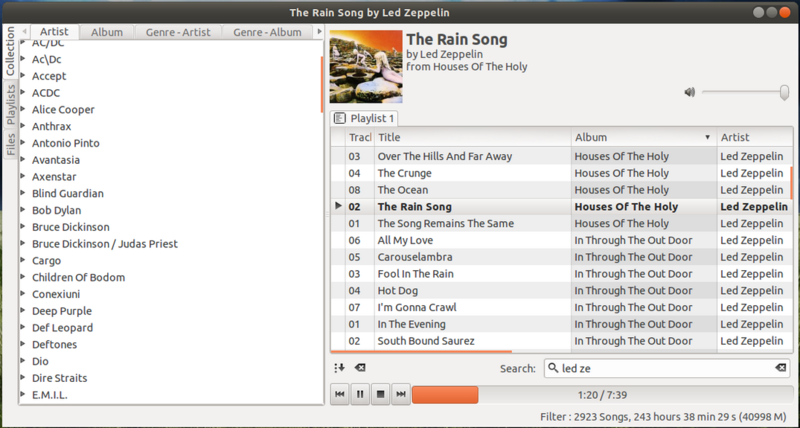 In this article I will show you how to install Gmusicbrowser 1.1.11 on Ubuntu 13.10 Saucy Salamander, Ubuntu 13.04 Raring Ringtail, Ubuntu 12.10 Quantal Quetzal, Ubuntu 12.04 Precise Pangolin, Linux Mint 16 Petra, Linux Mint 15 Olivia, Linux Mint 14 Nadia, Linux Mint 13 Maya, Pear OS 8, Pear OS 7 and Elementary OS 0.2 Luna.